33 Days in, how is The Last Knight performing? You are here: Home / News / 33 Days in, how is The Last Knight performing? Today we are 33 days into The Last Knight’s release. 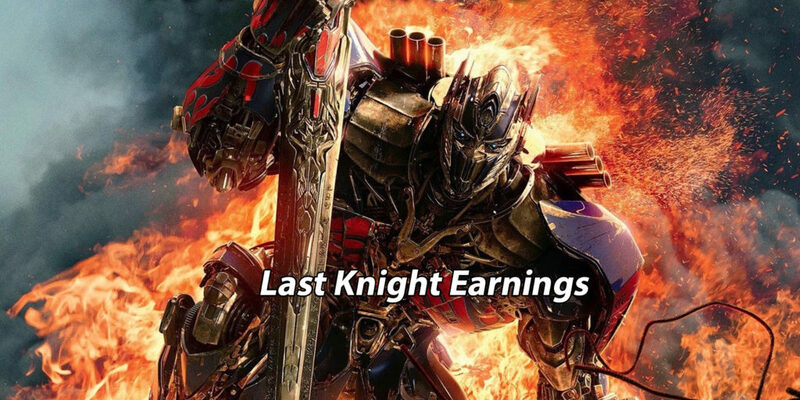 It’s been a couple of weeks since our last Last Knight earnings update. It’s worth revisiting to gauge the health of The Transformers movie franchise, and perhaps infer something from The Transformers as a brand in general, since many people only know Transformers in context of the movies. In the US, after 33 days of release, The Last Knight has earned $127,561,805. In China, The Last Knight currently sits at $226,824,834. If this number is not final, it will not grow by much. Worldwide The Last Knight is at $547,761,805. This will not grow much beyond this number. Worldwide, The Last Knight has more than doubled its production budget in earnings. Factoring in marketing and miscellaneous expenses, one can assume it’s close-ish to doubling that number. The data for this was sourced from Brian’s favorite website, Box Office Mojo.